Stephanie was a fabulous distance running star for the U of Wisconsin back in the 1980's. She walked away from the sport, but at 43 has now returned in a most impressive fashion. What an amazing talent. 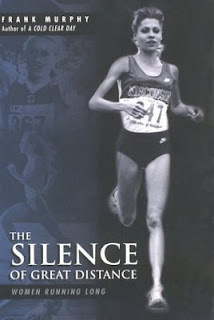 Stephanie is the principle subject in this insightful running book "The Silence of Great Distance". Check out this great story from Running Times and listen to the interview where she discusses the differences between her college glory days and running today as a 43 year old mother of 3. interview It will be interesting to see how fast she runs approaching mid 40s. From my experience, there was a big drop off after age 43. Order the book here. It's a great insight into women's distance running in the 1980s.